Marijuana and CBD Oil, Powerful New Tools for Pain Relief! One third of Americans needlessly suffer with pain. 15,000 die every year from overdose of prescription narcotics. Another 30,000-50,000 die avoidable deaths from arthritis medications (like ibuprofen). Meanwhile, having failed miserably at its battle against pain, the government has now seemingly declared war on the people in pain. This is horrible and abusive, adds social stigma to people's suffering, and causes much more toxicity than benefit. Attacking people in pain, and denying them the treatment they need, is inexcusable! Although I hesitate to jump into this political quagmire, we've had such incredible feedback from people getting relief from a powerful new natural tool for pain relief that I can't help but add my opinion — and you don't have to wait for your physician to catch up to the research. I'm talking about cannabidiol (or CBD), a therapeutic compound found in hemp oil and marijuana! And, with hemp oil now being available, you don't have to get high, or take the risk of getting arrested, to use them! Let's start with one clear and simple truth: Pain is more toxic than pain medications! Yet many are given a Sophie's Choice; Be in pain, or die from pain medication — a ridiculous choice to be offered. All too many doctors default to choice one, be in pain. The good news? There's a "door number three" available! First, recognize that pain is not your enemy. Rather, it's the oil light on your body's dashboard telling you that something needs attention. You wouldn't put a Band-Aid on the light or surgically remove it right? You'd add oil. That's the sensible "third door" in dealing with pain. Give your body what is asking for, and the pain often goes away. In our study using the S.H.I.N.E.® Protocol, 91% of fibromyalgia patients improved with an average 90% increase in quality of life. This success rate results because S.H.I.N.E. works to identify the underlying sources of pain, and then gives your body what it's asking for. This makes fibromyalgia an excellent model for pain management, as it addresses most of the key biochemical components of pain listed below. Central sensitization or "brain pain"
Amazingly, all of the kinds of pain listed above can be successfully addressed, naturally, using cannabinoids such as hemp oil or other CBDs! 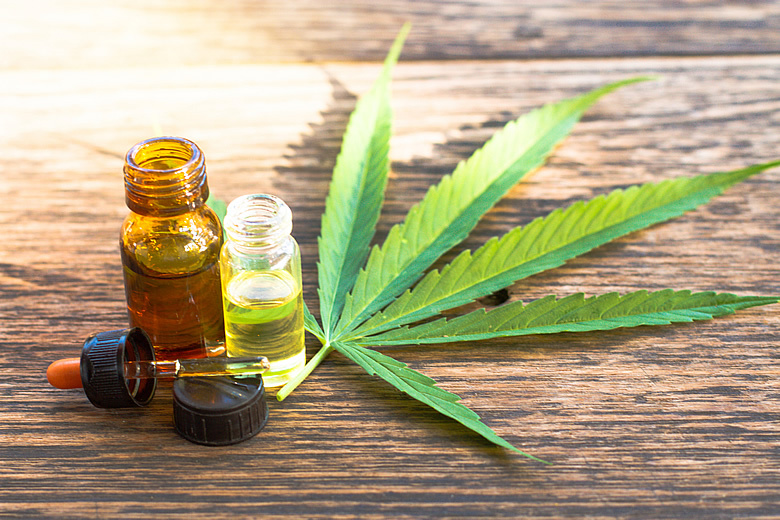 Let's look at some of the active components of marijuana and hemp oil, as well as some of the observations made in various studies. THC is the most talked about component in marijuana, as it's what causes the psychoactive high. Yet it can also be helpful, even if it does come with significant side effects, such as poor functioning and possibly jail time. But despite this, it's still safer than arthritis medications and narcotics. Provides antioxidative, anti-inflammatory, and neuroprotection effects. Shows no drop-off in benefits due to increasing tolerance (i.e., it maintains its effectiveness over time). North American forms of marijuana are low in CBD. "Cannabis use improved symptoms such as spasticity, pain, tremor and depression in more than 90% of patients. In eight different clinical studies, MS patients have also reported the benefits of THC." "Arevalo-Martin et al. demonstrated that cannabinoid agonists … inhibited the activation of microglial cells." Translation? It helps central sensitization or brain pain from chronic pain. This is a powerful benefit. CBD, in animal studies, show "anti-inflammatory properties … in rheumatoid arthritis." A mix of THC and CBD (about 2 ½ mg of each per dose) "was approved in Canada in 2005 for treatment of central neuropathic pain in multiple sclerosis, and in 2007 for intractable cancer pain. Numerous randomized clinical trials have demonstrated safety and efficacy for … central and peripheral neuropathic pain, rheumatoid arthritis and cancer pain." "Active in nociceptive spinal areas including mechanisms of wind-up and N-methyl-D-aspartate (NMDA) receptors. It was recently demonstrated that cannabinoid agonists suppress … allodynia. [This helps] neuropathic pain … migraine and fibromyalgia via NMDA mechanisms … [producing a] 30%–40% reduction in NMDA responses." "THC has been shown to stimulate beta-endorphin production …[and] may allow opiate sparing." This means it makes opiates more effective at lower dose and may reverse tolerance. A recent JAMA study showed a 15.6% drop in opioid deaths in medical marijuana states after marijuana was legalized, after decades of opioid overdose deaths accelerating. "THC has twenty times the anti-inflammatory potency of aspirin and twice that of hydrocortisone, but in contrast to all nonsteroidal anti-inflammatory drugs (NSAIDs), demonstrates no cyclo-oxygenase (COX) inhibition at physiological concentrations." "Cannabichromene (CBC) is the third most prevalent cannabinoid in cannabis, and is also anti-inflammatory and analgesic." "Cannabigerol (CBG) exhibits GABA uptake inhibition to a greater extent than THC or CBD, suggesting possible utilization as a muscle relaxant in spasticity. Furthermore, CBG has more potent analgesic… activity than THC." "Myrcene is analgesic, and such activity, in contrast to cannabinoids, is blocked by naloxone, suggesting an opioid-like mechanism. It also blocks inflammation via PGE-2." "The cannabis sesquiterpenoid β-caryophyllene is anti-inflammatory … but simultaneously acts as a gastric cytoprotective." "α-Pinene also inhibits PGE-1, while linalool displays local anesthetic effects." "Flavonoids in whole … extracts may also contribute useful activity. Apigenin inhibits TNF-α, a mechanism germane to multiple sclerosis and rheumatoid arthritis. Cannflavin A … inhibits PGE-2 thirty times more potently than aspirin." "Finally, β-sitosterol, a phytosterol found in cannabis, reduced topical inflammation 65% and chronic edema 41% in skin models." Optimizing Immunity (many studies show the components of hemp oil essentially "tell" cancer cells to self-destruct). "Highly statistically significant improvements have been observed in sleep parameters in virtually all RCTs performed with [hemp oil components] … in chronic pain conditions leading to reduced symptomatic insomnia due to symptom reduction rather than sedative effects." Sleep is critical for pain relief, triggering growth hormone release and tissue healing. Cannabinoids are also suggested to decrease sleep apnea. 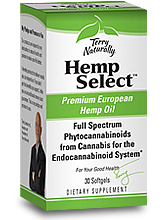 Benefits of hemp oil are obtained from a wide range of dosing. Even 1,500 mg a day in children with epilepsy has been shown to be beneficial and safe. For pain, I recommend 10-25 mg of CBD up to three times a day, with up to 50 mg at bedtime. This can be combined with other pain medications, and the dose adjusted as works best for you. This is important. Without experience, it's hard to tell how much of the active components are present in many products. Many of them have labels that dramatically misrepresent their content. For example, I've seen products with "CBD" in bold type on the label with a content listed at 100 mg, yet provide less than 3 mg per dose. A good form comes from Concentrated European Hemp (Cannabis sativa) stalk and seed oil. These can be found in 50 mg capsules of an excellent product called Hemp Oil (by EuroPharma), which contains 20% CBD (i.e., 10 mg of CBD per capsule). This is the hemp oil product I recommend, and it is superb. Ignore the politics and go with the science. You Can Get Pain-Free — NOW! An Update on Safety and Side Effects of Cannabidiol: A Review of Clinical Data and Relevant Animal Studies, Cannabis Cannabinoid Res. 2017; 2(1): 139–154. Cannabidiol as a Potential Treatment for Anxiety Disorders, Neurotherapeutics. 2015 Oct; 12(4): 825–836. Cannabinoids as novel anti-inflammatory drugs, Future Med Chem. Author manuscript; available in PMC 2010 Aug 1. Cannabinoids in the management of difficult to treat pain, Ther Clin Risk Manag. 2008 Feb; 4(1): 245–259. The Endocannabinoid System, Cannabinoids, and Pain, Rambam Maimonides Med J. 2013 Oct; 4(4): e0022.